Nine of the sixteen students performing with Kenan on April 14, 2019 are from the comedy school run by one of our clients. Judah (pictured above on the left) was the runner up last year. The past few weeks, Judah has been traveling with Kenan. Last week they performed at the Hollywood Improv. Carolyn (on the right) is this year’s winner. 11yo Carolyn started comedy classes during the troupe’s summer camp 2018 and has been at almost every Saturday class since. EIGHT IS NEVER ENOUGH Improv (AKA Improv 4 Kids and Improv 4 Teens via its educational outreach programs) is delivers top rate comedy while catering to all ages. The cast creates original sketch and music improvised based on audience suggestions and participation. The troupe offers weekly classes for kids, teens and adults and a summer comedy camp. These classes include both Improv and Stand-Up Comedy. Check out these photos from a recent show. Campers and Full session participants are invited to perform at regular showcases at a NYC Comedy Club plus get free admission to bonus classes and professional comedy shows. Born in Youngstown, Ohio and raised Italian American and Catholic. My father was involved in a family business and my mother was/is an elementary school teacher. As a family, we moved back and forth between northeast Ohio and South Florida throughout my childhood. Started playing contact football at age 9 in Florida and wrestling at age 13 in Ohio. My senior year of high school I placed second in the Florida AAA State Tournament and went on to college at Pennsylvania State University where I wrestled in 1991-1992 and tutored student athletes. Moved to Philadelphia, Pennsylvania in 1995 with my bachelors degree in criminal justice. Began work counseling adjudicated teens and children with mental health issues. Started teaching special education in the Philadelphia School District in 1998. Received my masters in Special Education in 2001 from Cabrini College and continued to teach in both public school and residential school settings. 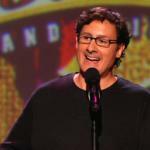 Started stand up comedy in 2000 and moved to New York City in 2003. Was the 1983 and 1984 Spelling Bee runner up at Pine Grove Elementary School. I failed to advance to the national bee in Washington D.C. because of the complexity of the word roothless, which I still spell with two o’s. Jon has appeared on the Late Show with Stephen Colbert and the Late Show with David Letterman, has been featured in Maxim Magazine, and was the host of the widely popular podcast, “In the Tank”. A prolific monologist with universal appeal, Jon focuses on the idiosyncrasies of city living. Shortly after moving to NYC from his native Boston, he was chosen as one of Comedy Central’s Fresh Faces of Comedy and named one of Back Stage Magazine’s 10 Standout Stand-ups. His appearance on Last Comic Standing 4 – where he was the New York City Capital One Audience Favorite – earned him wide recognition and a new legion of fans. His other TV appearances include Comedy Central’s Premium Blend, VH1, Celebrity Apprentice, and 3 Men and a Chick Flick on the WE Network where he served as a host. Interestingly, the credit people seem most impressed by was that he was handpicked to open for Jerry Seinfeld in 2009 at Gotham Comedy Club Jon has performed at multiple festivals including the 2007 HBO Comedy Arts Festival in Aspen and the 2010 Great American Comedy Festival at the Johnny Carson Theatre in Norfolk, Nebraska. In addition, he was a critical favorite at the prestigious Montreal “Just for Laughs” Festival where he appeared in both the “New Faces” showcase and the Club Series show “Dating It.” Following his impressive performances, Jon was singled out by the Hollywood Reporter and the Montreal Gazette as a “stand out performer”. Most recently, he was invited to perform at this year’s TBS “Just For Laughs” Comedy Festival in Chicago. 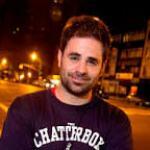 Aaron Berg made his Comedy Central debut on THIS IS NOT HAPPENING in 2016 and has made two appearances on AXS TV’s LIVE AT GOTHAM as well as an appearance on BIG JAY OAKERSON’S “WYFD?! ?” on Seeso. He will also be appearing in Comedy Central’s Roast Battle Season 2 in 2017. Aaron is half of the weekly show “IN HOT WATER” which can only be viewed on COMPOUNDMEDIA.COM . He is also an author and has two books out currently. Mr Manners and American Etiquette. His two albums are available on iTunes and can be heard on RAW DOG on SIRIUS XM, “COMEDY COLTRANE” and “UNSCRIPTED.” Aaron is the host of FRANTIC MONDAYS at the STAND NYC can be seen every night doing stand-up in NYC. Also, Aaron was one of the stars of the groundbreaking TV show 24 HOUR RENTAL airing on HULU. 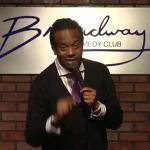 9pm Broadway Comedy Club Sunday Night Live presents a lineup full of our Top Headliners. These are the best comedians from New York City with special guests from all across the country. 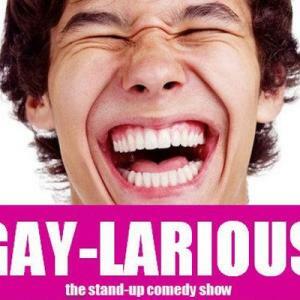 You’ve seen them on MTV, HBO, The Tonight Show, Comedy Central, The Daily Show, Last Comic Standing and more! This week another great Sunday Night Live show featuring KC Arora, Robyn Schall, Mike Vecchione, Nikki Carr and hosted by Jamie Roberts.